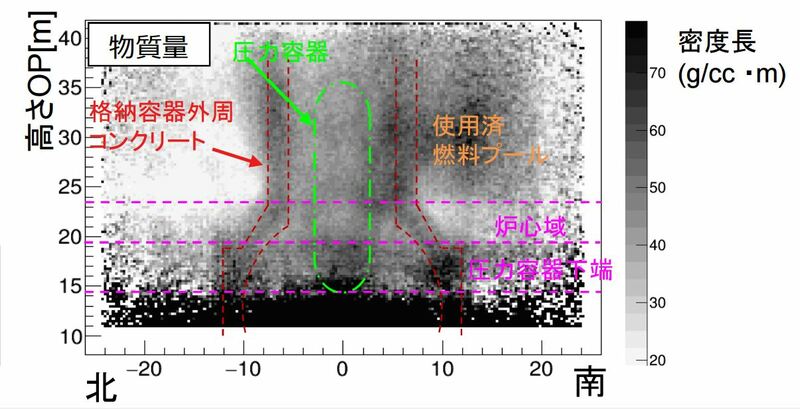 As we process the information released related to the second muon scan of Fukushima Daiichi unit 2 a number of interesting things have been found. This however, was a surprise. 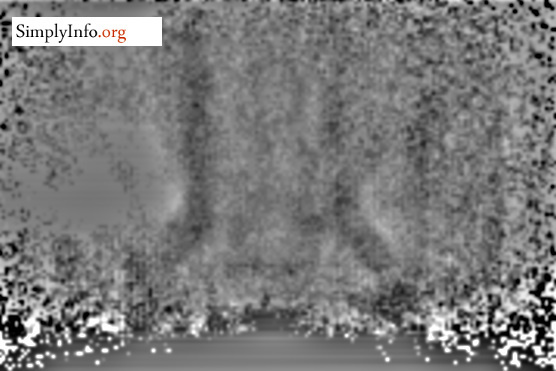 SimplyInfo.org research team member Peter Melzer used an image analysis program to refine the image published by IRID & TEPCO. Image J software was used to do an FFT (Fast Fourier Transform) analysis. This refinement showed something quite different than TEPCO’s original image. Below is Peter’s processed image. The lower curve of the RPV (reactor pressure vessel) is quite clear in the refined image. It also doesn’t show the dark density one would expect if a large mass of fuel was located in the RPV bottom head. This image also helps clarify the black wash out of the lower section of the image. The image below is from the IRID/TEPCO handout. The overlay claims to document where the RPV is in green using the actual scan graphic of the muon scan. In this photo they show a large black mass in the bottom head. 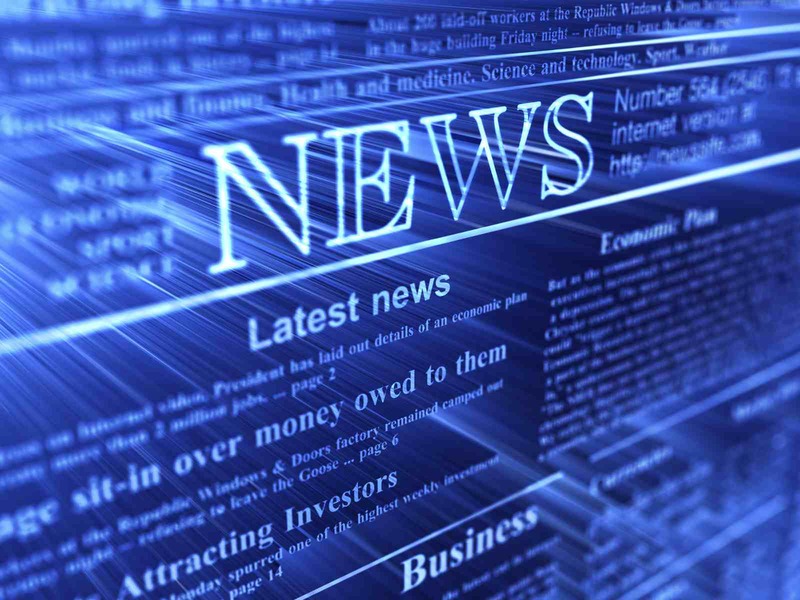 More details on the ImageJ software and how the image analysis was processed can be found here.